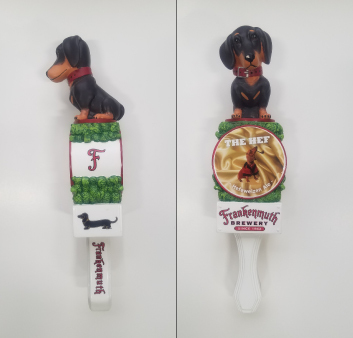 Frankenmuth Brewery Tap handle featuring “Frankie” our dachshund mascot. Standard fit. Size: 11.25″ tall x 2.875″ Wide x 3.5″ deep (tail to snout). If you prefer a specific beer style label, please note on order.